Description of Property: Set on two floors with its own private, enclosed garden and parking area. The ground floor is open plan, with kitchen, dining area and comfortable sitting part that overlooks the garden through large picture window/doors. 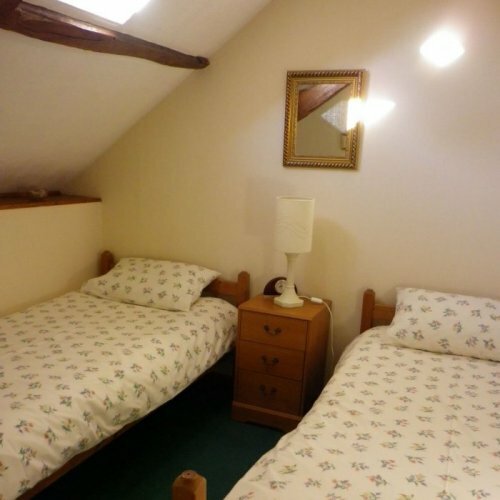 Upstairs are 2 bedrooms, one double and the other with twin beds. Also is the large shower room with toilet and washbasin. 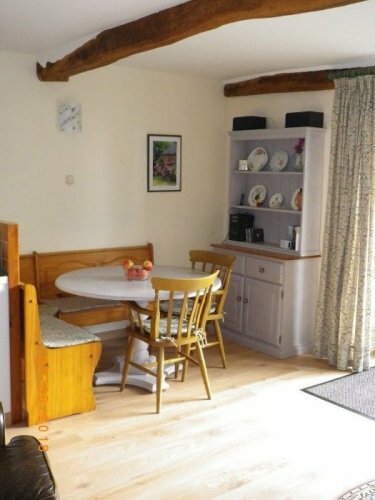 The original beams are throughout the cottage which is quietly and softly decorated. 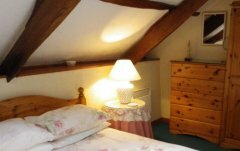 The whole property is a converted barn dating back to before the 1850's, while the interior is otherwise warm and modernised. It is situated at the end of a no through country lane in a Hamlet comprising of one other house and an immaculate clean modern farm. Views from the garden are onto open farmland and woodlands. 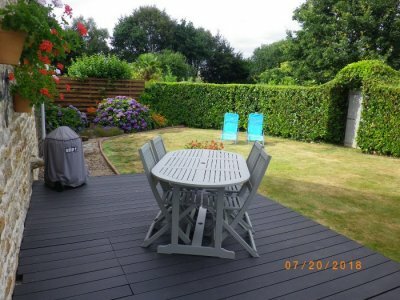 Outside Amenities: Outside is a terrace with BBQ and wooden table and chairs, with sun loungers. 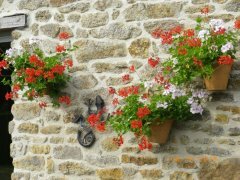 The garden is enclosed, not overlooked and is child or pet safe and secure. There is also a clothesline. and calm . Within our village is the lovely Pont Samuel lake and restaurant, with fishing available. Golf, tennis, horse riding, water sports also closeby. Gas fire and electric storage heater downstairs. The bedrooms have electric heaters. Bed linen available for hire Off-road parking. Pricing Info: Monthly let's at €495 all inclusive. Weekly lettings from €315 Low season; €395 Mid Season and €465 High season (all inclusive). Returnable security deposit of €250. All rents payable in advance.